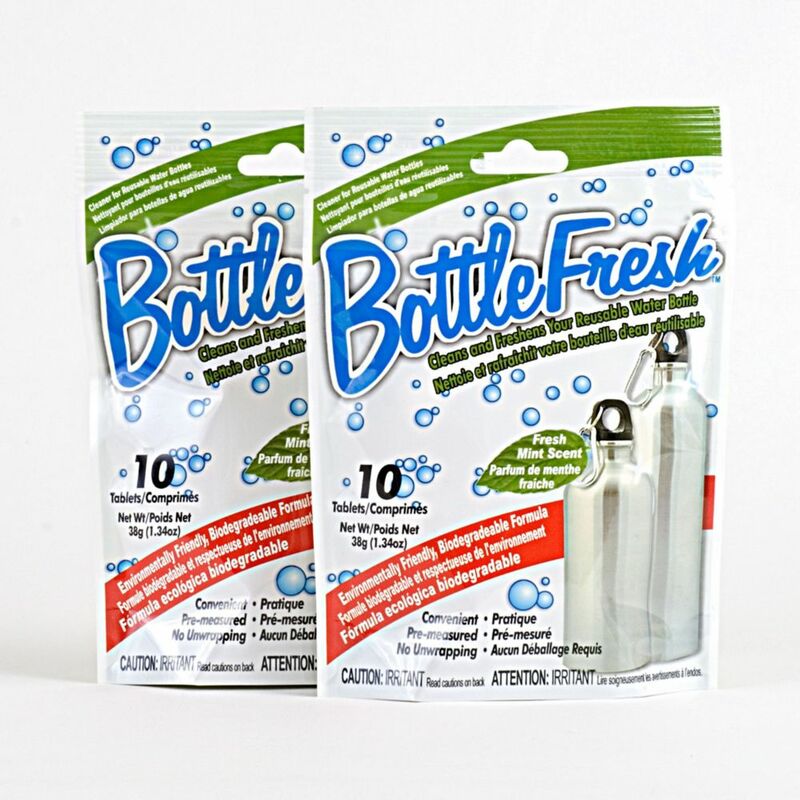 Water Bottle Cleaner & Refresher - 2 Pack Bottle Fresh tablets use an effervescent bubbling action formula, which penetrates deep to dissolve the residue, dirt and grime that builds up in your reusable water bottles. Our convenient pre-measured tablets deliver a powerful, sparkling clean that you can see and taste. The fast acting bubbling action starts working immediately and leaves behind a fresh, light and clean mint scent. Bottle Fresh tablets are safe to use with no harmful chemicals and they won't create any dangerous by-products as all the active ingredients revert safely and cleanly back to oxygen. Our tablets are environmentally friendly and biodegradable. Use once a week or more/less frequently as required based on usage. Try our 2 Pack (2 Packages with 10 tablets in each package). Water Bottle Cleaner & Refresher - 2 Pack is rated 4.0 out of 5 by 1. Rated 4 out of 5 by Michael Craig from Works Well Simple to use and effective. I wouldn't bother with weekly treatment.